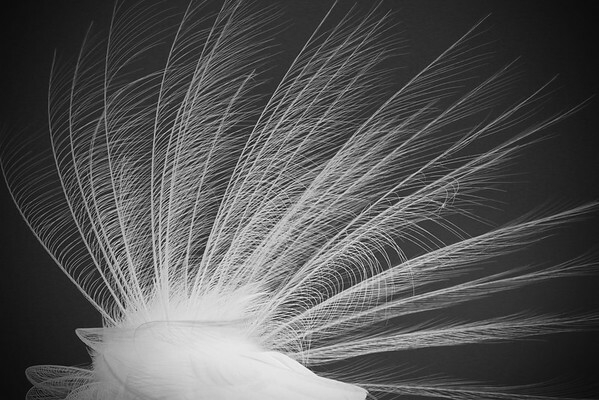 The feathers of a Great White Egret have always reminded me of a large edwardian fan. I set out to capture this in a photo. This is a bird sitting in a tree shot with a 400mm lens with the sky as the background.